Recolab X is one of our most exciting ranges. We collaborate on these limited edition designs with established organisations. And we all have one mission: reducing landfill, working towards pristine oceans, and creating a product which will last. X Goolife is now in its second genesis. And if you're quick there are still a few bags available from this first release over at the Goo Life website. 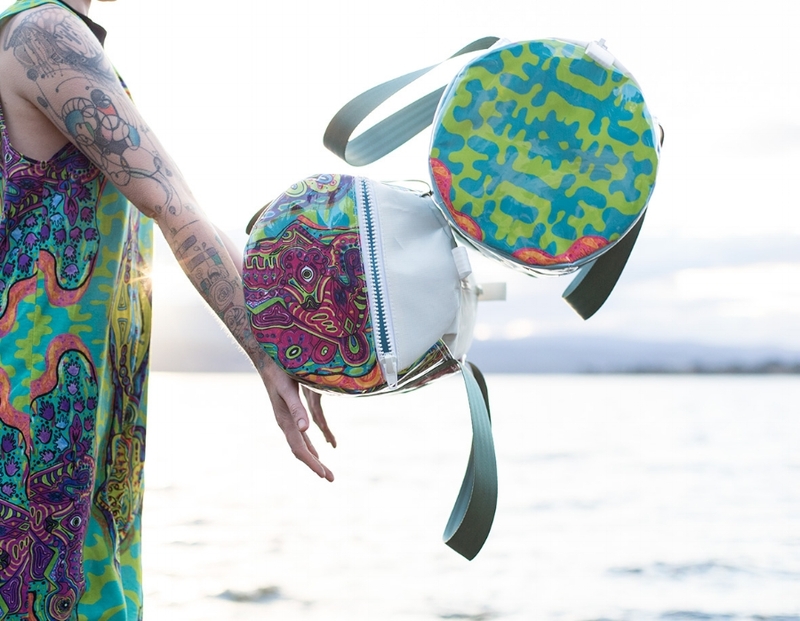 We had such an amazing experience creating our first range of bags with Goo Life Clothing in Melbourne that we are about to start work on a whole new range of shapes and sizes. 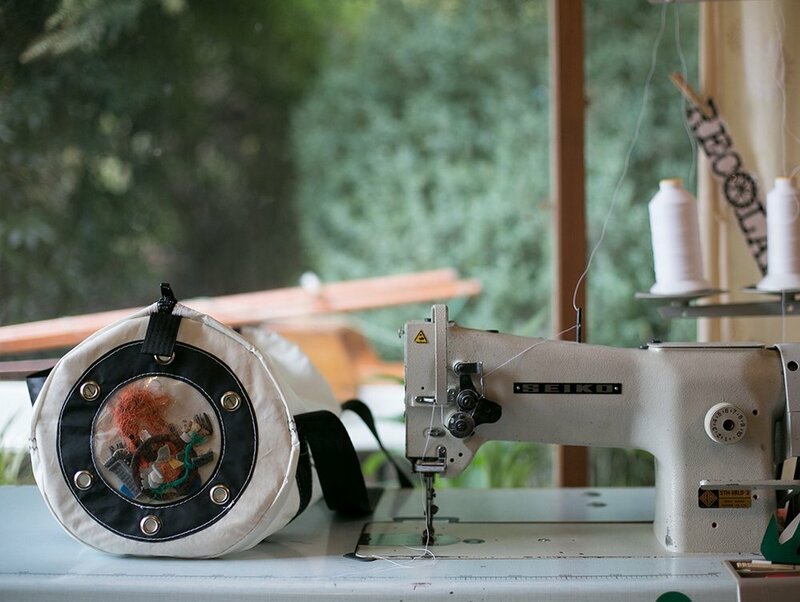 The range is made from upcycled materials including boat sails, discarded festival tent silk and original Goo Life fabric (manufactured from recycled plastic bottles and designed by artist Sha Gaze). A portion of the proceeds from the first collection was donated to Team Clean Tasmania, helping to fuel their trips to the isolated coastlines of Tassie to clean up the waste deposited by global tides. We are so excited to announce the Recolab X Sea Shepherd 2018 bag! The Recolab X Sea Shepherd Backpack is available in the white sail fabric with a variety of colour options on the porthole. The porthole window contains pieces of debris which have been collected from Tasmania’s remote southern coast beaches by the dedicated Team Clean Tasmania crew. Donations from the sale of each SS bag will be donated to the Sea Shepherd organisation - protectors of marine life across the globe.